Now a days defined curly hair is on trend..isn't it ? 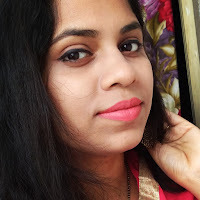 If you want to add some defination or clarity to your curls,then this post may help you I guess..
Well I have naturally curly or you can say wavy hair... actually my hair is straight from the front side and as it comes down it has become curly. Brsides that my hair is dry,rough, fizzy and whatever you can call these.. I was looking for a good serum for my hair and that time the brand Bblunt send me this lovely pink bottle which is meant for specially curly hair or specially for curls you can say.I was super happy to try this out and I am trying since three weeks (approx) now . For your reference I do wash my hair twice a week and according to that I have already used this 6 times now and ready to review for all of you..
Price: Rs 550/- for 150gm. The leave-in cream comes in a very girly chic pink bottle packaging which has a pump cap on it. The pump cap makes the process easy but unfortunately it is not working in my case as the pump is not working... I have to open the cap each time and pour a little quantity which is arghh. There is also a lock system on the cap which makes the product safety during travelling. All informations are written on the bottle.. The cream is pearly white in colour and a little thick in consistency like conditioners. I love love its smell. It has flowery kind fragrance. Okk now come to my experience.. I have dry hair type and hair fall issue as well, hence I am very choosy in hair care products and don't use any hair styling product. Actually I love my curly hair as it always adds mor volume to my look. So now I am telling you the way I use it..
After shampooing ( I do apply conditioner as well) I towel dry my hair,then take a coin size or a little more quantity and apply thoroughly on my damped hair. 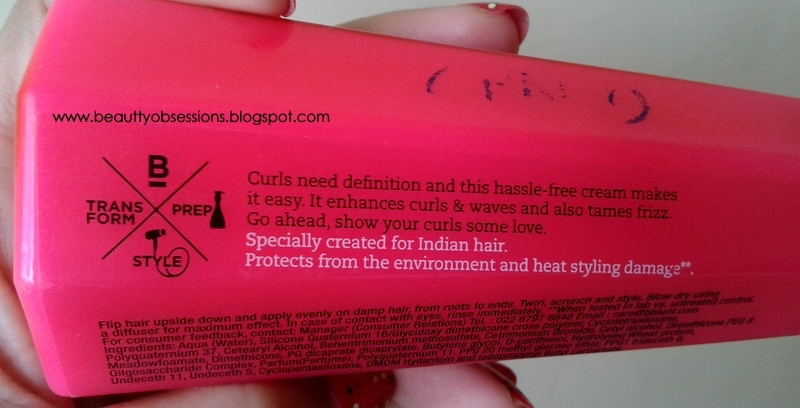 I don't apply from the root as the brand says,but covers 3/4th of the total length of hair. And then leave that like this for some time ,then comb very lightly just to set my hair. My hair dries up very quickly within 15-20minutes. and at the end I get bouncy defined curls on my hair which lasts for one day atleast... It doesn't feel heavy or sticky on hair. 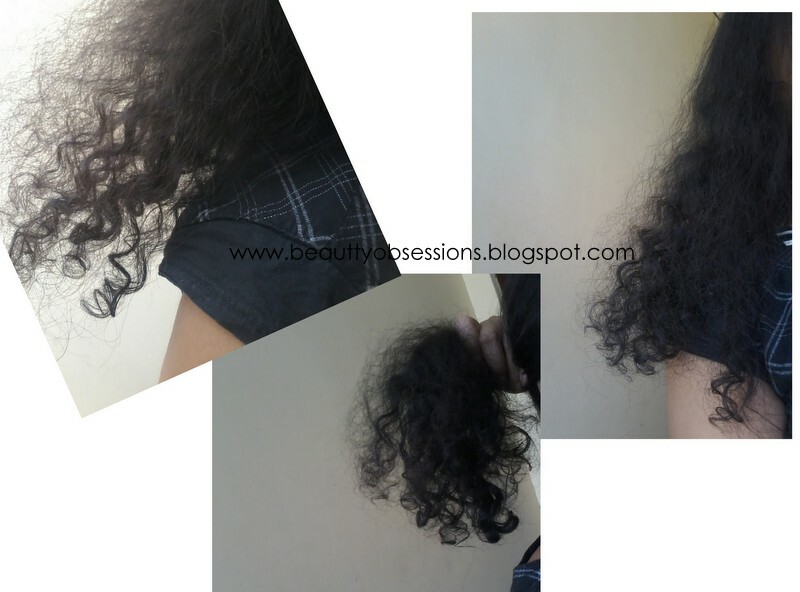 It also helps to de-tangle my hair to some extent..
Hope you can see the curls in the below picture. I have tried hard to click the perfect one to show the curls but it is difficult to click pics on your own when a kid (my son) around you to ask for your camera..
At the end I can say this is a good option to try but not a must buy.. If you have natural curls like mine then this works great on it ,but for straight hair it will a little difficult to catch the curls through it. If you are using a curler over it,then that will also work i guess.. Let's summarise this in short..
Small amount requires to get nice curls.. Doesn't feel sticky or heavy on hair. Not much helpful for straight hairs..
Price may be a concern for some. 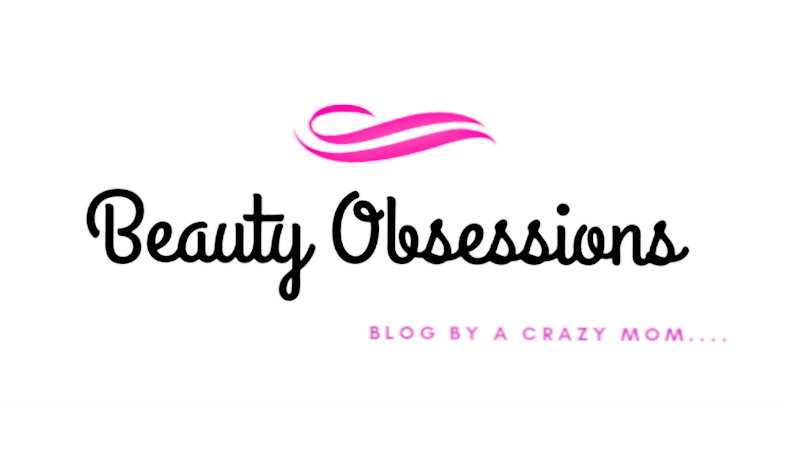 I do have curly/wavy hair, its a great priduct to have in your vanity! !